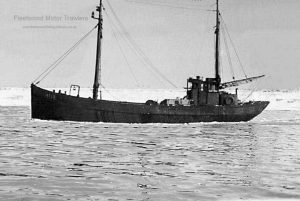 1933: Completed by Boot, Woubrugge for L. Kamper, Urk as GELABO. Registered at Urk (UK14). 1935: Re-registered at Urk (UK18). 1939: Sold to K. Post, Den Helder. Urk registry closed. Registered at Den Helder as DE JONGE JOCHEM (HD8). About 11/12.5.1940: Sailed IJmuiden with refugees and picked up in the North Sea more refugees who were in rowing boats etc. on her way to England, total about 80 refugees among them were many children. The people from the rowing boats were very lucky because the weather worsened and they were sure that they will not have made it to Britain. 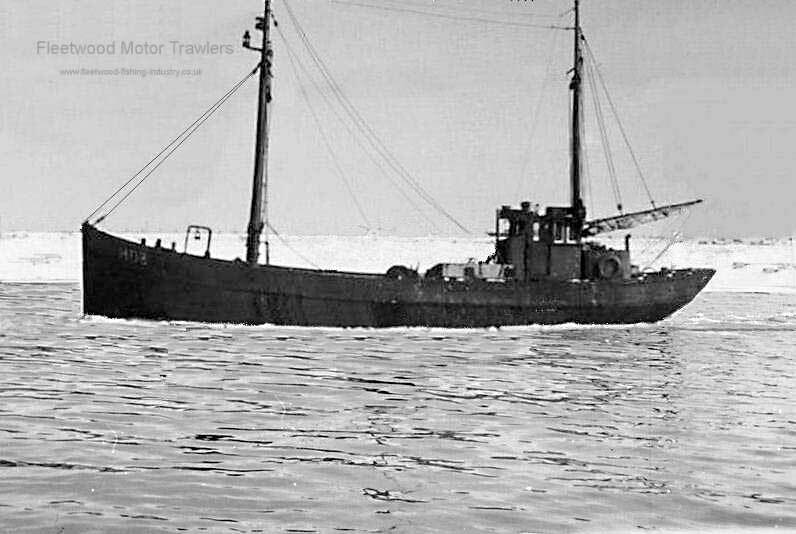 The skipper Mr. Bertus van Loosen had no sea charts which could tell him where the minefields were, also he was on his own on board because a crew member, who was living in IJmuiden, refused to go with him, the rest of his crew were living in Den Helder and were at home. His idea was to take the people to England and then return to Holland. On arrival in England he was directed to Fleetwood. 1942: Re-engined with a 110bhp oil engine by Gardner & Co Ltd, Patricroft, Manchester. 1953: Re-engined with a 150bhp oil engine by Kromhaut Motoren, Amsterdam. 7.10.1954: On a trip, five crew. During a NW storm the vessel was lost with all hand NW from Den Helder, skipper Bertus van Loosen was not on board this time. Note – DE JONGE JOCHEM was the only Den Helder registered vessel that escaped to England. 17/11/2016: Page re-published due to site problems. This entry was posted in Lost, Motor Trawler, No Fwd Owners on 17th November 2016 by Howard Small.